There’s an increasing need for homes to become more environmentally friendly and self-sufficient than ever. For this reason, many people are gradually and steadily taking a new turn for the greener by utilizing leftover steel boxes used in overseas transportation to build what we called shipping container homes. Shipping containers are made of Corten steel, which means they’re nearly indestructible and do not rust. Shipping container homes are now a hot new trend. 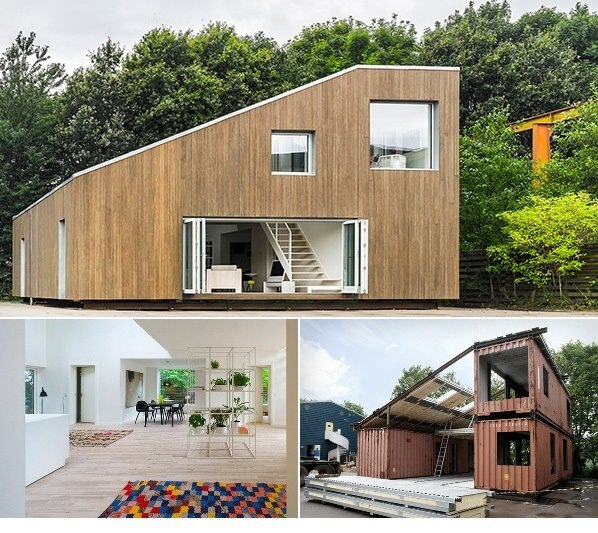 Essentially, it involves modifying and repurposing old shipping containers and sticking them together to build a house. There are numerous shipping container homes that are ingeniously designed such that they feel more like a home and less like a shipping container. For those struggling to find affordable housing, container homes are an outstanding alternative to conventional housing. Such homes come with tremendous lots of benefits that you may never afford through traditional housing design. In this article, we’re going to look at the 6 Benefits of Shipping Container Home Design. Building a shipping container home design is more affordable than you can ever imagine. A 20-foot shipping container costs between $1,500 and $3,000, while a 40-foot container can cost around $4,500. Once you’ve bought your container, your desired choice of the interior finishes will determine the rest of the cost. Generally speaking, finished shipping container homes can cost you around $15,000. What’s more important is that you’ve got complete freedom to decide your unique interior design and finishes. You’ll end up getting an affordable home with complete luxury at a fraction of the overall cost of building a conventional home. Shipping container homes are essentially strong, tough and durable. The reason is that containers are intended to haul cargo through extreme conditions both on land and at sea. They are subjected to over 100-mph winds at sea and can comfortably withstand up to 50-foot waves. Since they can survive all these extreme weather conditions, there’s a pretty good chance they can as well tolerate any storms your home might endure. Expert container home builders can balance the design and add glass doors and windows while still maintaining the structural rigidity. Shipping container home design allows you to position doors and windows behind the original shipping container doors to retain the structural durability and integrity. Incorporating any container home designs into your shipping container is hands down simple and effortless. Whether you wish to add a staircase or want to have windows and doors at your own exact position, everything’s simple to construct. Shipping container home designs allow you to express your personal style statement – all at a fraction of the cost. With shipping container home design, you can achieve the exact thing you have in mind. You can twist your container architecture in such a way that it reflects your unique personality and character. Perhaps this is your (rare) opportunity to show the world your uniqueness and get noticed. Container homes give you absolute flexibility when it comes to your layout, design, and configuration. You’ve got complete freedom to stack them, position them according to the shape that you like, and have a design that meets your needs and suits your block of land. As mentioned earlier, these containers come in standard measurements with popular ones being 20 FT and 40 FT. Besides these sizes, you can choose high cube containers and get an extra 30cm height. With this extra headspace, you can make a huge difference in terms of versatility and comfort of your container home. Also, you’ve got the option to select a unique configuration that suits you. Various container home designs allow you to build a home that suits the natural environment. Whether you want to build your house in a lush forest setting or want to take advantage of the beautiful views of the coastline, rest assured your needs are covered. You have the freedom to pick a design that you think would suit your location. If you look at several new estates in Australia, you’ll realize that many homes feature the cookie cutter designs. There are many similarities in styles, colors as well as landscaping of houses. A shipping container home allows you to design your bespoke home – with no architectural price tag attached! 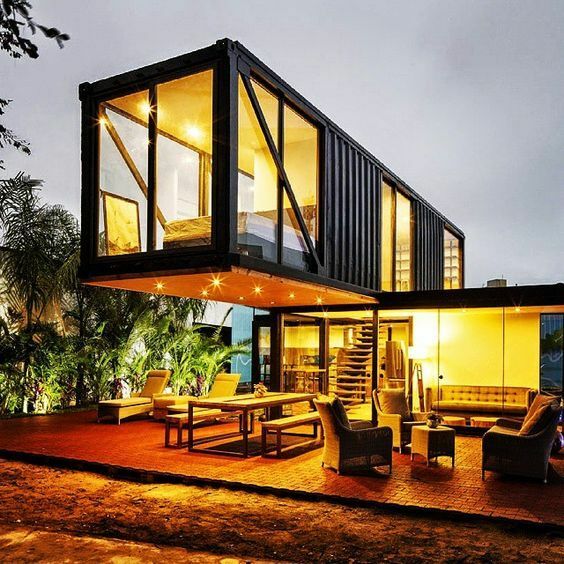 With shipping containers, you get a creatively designed home that meets your tastes and personality. You can create a home with the “wow” factor both in configuration and the exciting palate of colors. Most importantly, your home won’t be a cookie-cutter design.